Looking cool is an everyday ordeal. It’s really helpful to have some clothing standbys that just make you look wickedly cool without much effort. It’s even better when your wardrobe helps you express your life’s passions, too. We’re all about that here. Looking good and feeling good. That’s one of the biggest reasons we created our FUNwear line for women. 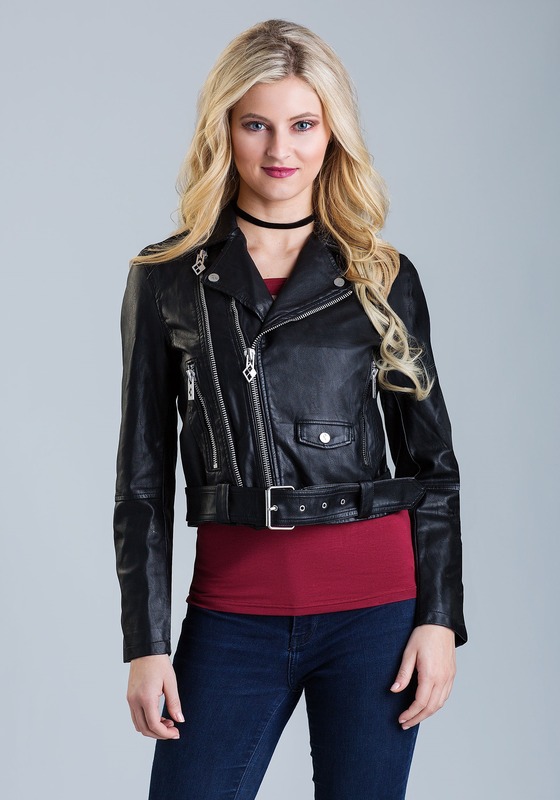 Take this Women’s HARLEY QUINN™ Moto Jacket, for instance. First, it’s officially licensed by DC. Next, check out the detailed lining. 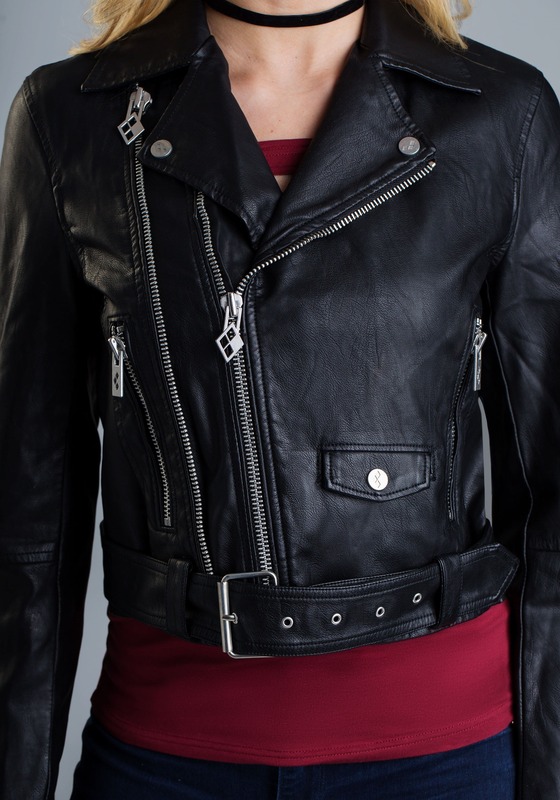 Faux leather exterior, multiple zipped pockets, silver zippers with diamond pattern pulls, and then you open it up and BOOM! 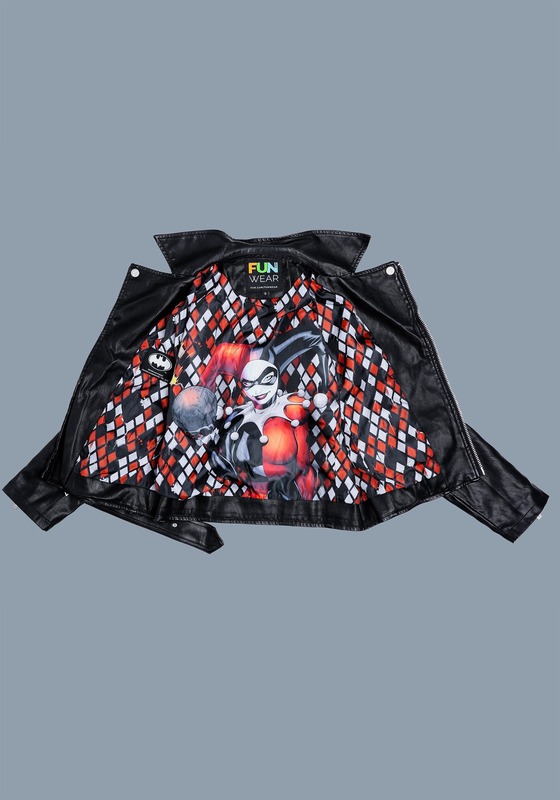 Harley Quinn is right there looking mischievous with her little grin and a lit bomb in her hand. And she’s atop an entire interior print of her signature diamond pattern. 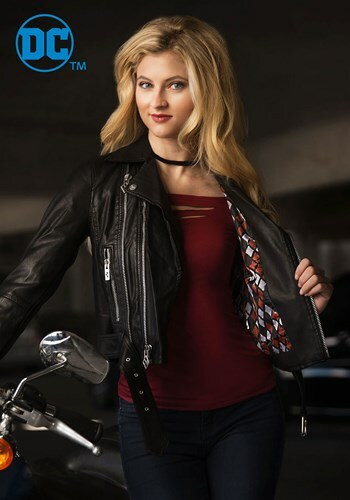 Don’t feel bad about being a little bad… this high-quality Harley Quinn motorcycle-style jacket is a must-have for anyone who likes to have a little fun on their nights out on the town. Two zippered pockets; 1 small snap pocket. My daughter ordered this jacket and loves it. Fits true to size.